My undergraduate course in discrete mathematics introduced me to some of the paradigmatic problems of the field, including Euler’s Seven Bridges of Königsberg or the Gas-Water-Light puzzle (the latter a creation meant, in my experience, to frustrate the solver and make the poser feel smug). Both problems reduce practical or real world situations to fascinating and generalized mathematics. The practical becomes the pure, in other words. At a variety of talks and sessions that I attended at the annual meeting of the History of Science Society (program here), it struck me how flat and unsatisfying a picture of the interactions of science and practice such examples provide us. 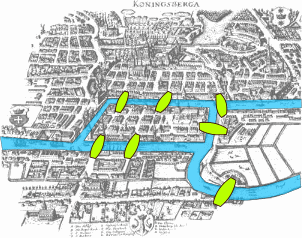 Bridges of Königsberg, a map adapted by Bogdan Giuşcă. I first thought of Königsberg during a fascinating paper by James D. Skee (UC-Berkeley) exploring the use of operations research (OR) in the design of Disneyland and other parks. As Skee persuasively argued, consultants like Harrison Price trained in wartime operations research successfully sold their skills to a new “mass leisure” industry, typified by Walt’s emerging empire. They translated park design into a series of optimization problems and consumer projections; they simulated visitor behavior and solved elaborate scheduling problems. One could imagine this being a story simply of application—using OR to remake parks. Yet there is clearly much more. Price and his associates created new problems and new concepts to deal with the particularities of mass leisure in post-war America. “Design,” a word I would associate with architects and park builders appears to have been undergoing a mathematical formalization in the mid-twentieth century—this was my own speculation and conclusion, Skee was too careful a scholar to make such leaps—on its way to today’s “d-school” ideal. I wonder if some future textbook will hold (or if one already does) a “queues of disneyland” paradigmatic problem. On either side of Skee’s paper I heard equally evocative talks. One by Emory’s Aimi Hamraie explained the development of laws and standards employed by architects to make buildings accessible to (nearly) everyone. I agreed wholeheartedly with Karen Reeds’ assessment of the paper in the question period, that it was not only well constructed but morally significant. 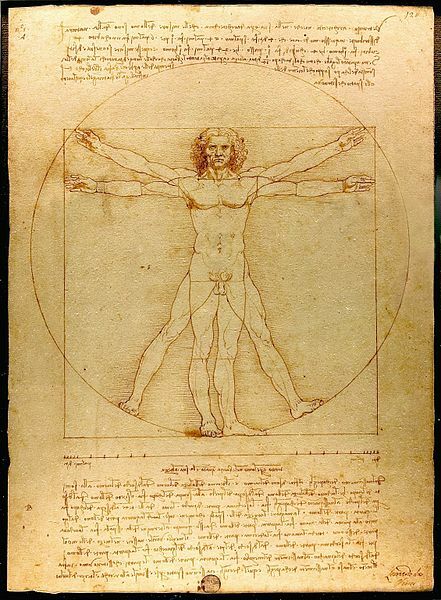 Hamraie identified a continuing tension in the twentieth century transnational development of accessibility standards between ideals (the shadows of Vitruvian man) and distributions (anthropometric data concerned with averages but also with accommodating from 5% to 95% of human variation). Another paper, by Brittany Shields (Penn) considered the design of NYU’s Courant Institute, including the central position given to lounges and the library in the building, as spaces for fertile exchange of ideas. I was particularly intrigued by the idea (I think it was Courant’s) that the mathematics library would serve as the equivalent of a laboratory, with the key feature of a laboratory being that it provides a space for students to share insights and materials—a strange and telling definition of a laboratory. All three of those papers looked back, as commentator Tom Gieryn noted, to the Cold War. Yet the Cold War played little or any direct role in them. The same could be said for Nadia Berenstein‘s talk “Flavor Added” on the work of flavor chemists from 1954-74. Berenstein (Penn) highlighted the wonderful complexities of industrial science. I found particularly compelling her discussion of flavorists’ work in an increasingly instrumentalized setting. Interestingly, even as gas chromatography empowered flavorists with the capacity to analyze naturally occurring flavor chemicals much more accurately than ever before, the flavorists’ judgments remained crucial. Gas chromatographs could dissect a strawberry, but the best (and most practical) synthetics seldom came by replicating nature directly. Analytical data became creative fodder for the flavorist to practice his scientific art. The Cold War became a much more explicit object of inquiry and contest in one of the best roundtables I have ever attended. 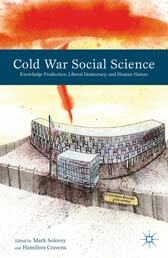 Organized around the publication of an edited volume by Mark Solovey and Hamilton Cravens (Cold War Social Science), the session pondered and argued over whether there really was such a thing as “Cold War” social science. But it really sprang to life in a debate over Jessica Wang‘s brilliant and provocative paper on what she referred to as the “immunity of the national security state to knowledge.”* Drawing on Ted Porter’s idea of “thin description,”Wang (UBC) argued that the US national security apparatus privileged thin ways of knowing over thick (even, Sarah Igo noted, as it commissioned and paid for plenty of thick description, as explored in historical work by Joy Rohde or Rebecca Lemov). The discussion challenged Wang’s argument to some extent, but spent much more time trying to explain it—some argued that a preference for thin description owed to the necessities of expanding American empire, others pointed to the hubris of a super power with a series of successful occupations under its belt following WWII, and still others (including Wang) focused on the theoretical ideology of Talcott Parsons and the general social scientists who believed in the power of thin description and simplifying models of society. On the whole, the papers I saw exemplified the possibilities for historical work in the history of science that reaches out: into the history of mass leisure, disability history, industrial development, and the Cold War state. I’ll close by mentioning a final, lovely paper by John Tresch (Penn) on Michel Chevalier’s Letters on North America (trans. 1839). Chevalier, the “Tocqueville of Techniques” in Tresch’s title, appears a truly fascinating character: a Saint-Simonian apostle and engineer sent to America on a mission similar to Tocqueville’s, but with very different ends. Where Tocqueville found “democracy,” with all the possible perils of that word (the rule by mob), Chevalier saw a beacon of industrial development, of redemptive industrial empire. As I’ve noted on this blog before, I am happy to see Tocqueville de-emphasized and Tresch offers Chevalier to do the job in a way that emphasizes transnational connection instead of national exceptionalism, that sets American western expansion next to French control of Algeria in a story of industrial empire building. Chevalier landed in America during Jackson’s war on the Bank of the US. He took the Bank of the US as a model for what the French should create, even as the American version stood ready to fall. The bank war has nearly always been told as a purely American national narrative, yet even it clearly belongs to a broader story of modern nation states and their relationship to finance and capital. From this side of the fiscal cliff, it strikes me as a topic worthy of continued attention. This entry was posted in 2012 annual meeting, Berenstein, Dan, Hamraie, HSS, Shields, Skee, Tresch, Wang on December 5, 2012 by americanscience. Thanks for this post, Dan. Much of this is right up my own research alley. The Königsberg Bridge problem is actually listed as an antecedent to OR in Gass and Assad's Annotated Timeline of Operations Research: An Informal History. Combinatorics is a huge part of that discipline. But OR has plenty of its own model problems. In my dissertation (“A Veteran Science”, 2007) and forthcoming book, I have a big section on exactly how theorists thought about theory; I focus on the Traveling Salesman Problem as an example of such a model problem. I also have a look at “inventory theory” (pdf) as an example of a pseudo-practical problem, that is, it's a problem that is based on a practical question (how much inventory should I keep? when should I replenish? ), but, which, once articulated, reveals novel mathematical structures which can be (and are!) studied for their academic interest. The need to moderate between academic and practical aspects of a problem was well appreciated by historical actors, but not, oddly, by many historians, who I believe are too quick to look at historical actors' theoretical interests and assume that they viewed theory as politically authoritative (hence, also, historians' preoccupation with Talcott Parsons). As my multiple posts on the Solovey-Cravens volume on my blog argue, I believe that historians have been too eager to diagnose policy failures as a result of an intellectualized “thin” world view, in the process misunderstanding both the policy history and the intellectual history they study. When your favorite critical tool is “thick” description, then everybody else's ideas start to look “thin” to you. Sarah Igo is correct to note that not only did the government commission lots of “thick” research — though scholars will dismiss it as thin and compromised in its own way — but even apparently thin research was fit within a much larger policymaking matrix, which is rarely taken seriously by historians of science (who implicitly view policymaker as either resistant to, or enthusiastic recipients of, “expert” views, rather than as in dialogue with them). This is not, of course, to defend this or that policy or social scientific idea; rather, it is to suggest that diagnoses of the intellectual roots of the policy tend to be simplistic (i.e., their “immunity to knowledge”) in ways that serve to make our own ideas look comparatively deep. Will–thanks for this. I'm excited to see more on your treatment of Traveling Salesman, etc. I don't know the OR stuff all that well, but I'd like to learn more. I take Wang's point to have been that the national security state privileged thinning processes (for some obvious practical and some ideological reasons) and that this proved a poor choice when it came to waging a war in Vietnam, for instance. Is that really simply us making ourselves feel smarter than our actors? I don't think so… I can imagine situations where one might criticize a state for looking too deeply and narrowly, missing some bigger pictures as a result. Hi Dan, I've only skimmed Ted Porter's piece since it came online, and, lamentably, I wasn't there for Jessica Wang's talk, so I can't comment any further than what you've written here. So none of this should be read as a direct reply to them. On the “whig” point, I think the term is uniquely appropriate for the historiography of the social sciences, because we are effectively in the same tradition as the people we're studying, which in almost all accounts does go from thin (or reductionist) to thick. (There are arguments to be made that other invocations of thinness are whiggish, but the argument is more oblique.) It sounds like Porter is trying something a little different by casting them as opposing “scientific ideals” that manifest themselves throughout history. Whiggish or not, though, I find the whole thick vs. thin framework limiting. I'm not convinced that such things as “faith in thinness” existed, and, in any case, it's so difficult to separate out thickness and thinness from the polemics surrounding the same (I also talk about this a bit at the end of my book; accusations of thinness start cropping up around strategic studies circa 1960). I view it as similar to using “atheism” as an analytical rubric for early modern natural philosophy. In fact, I think there may be some genealogical links between the atheism accusations surrounding Cartesianism and later accusations of thinness, as a lot of intellectual critics talked a lot about “Cartesian reason” in the mid-twentieth century. Ultimately, I'm not sure what the proper framework(s) is/are, but I'd like to make sure that we keep the conversation open and not settle on descriptions that are too superficial for our needs (again, the thick/thin issue doubles back on us!) Did the national security state privilege thinning processes? Was Vietnam a result of such processes? This sort of argument strikes me as having a pathology we need to explain, and then offering whatever diagnosis seems to be handy.